BINSTOCK, TESSIE: On Sunday, January 4, 2015; Beloved daughter of the late Cecelia & Abraham Gottlieb. Devoted wife of the late Dr. Samuel E. Binstock. Loving mother of Drs. Rochelle (Edward) Middleman and Robert (Cathy) Binstock, all of Houston, TX; Linda Shensa of Pittsburgh, PA, and Dr. Martin (Marta) Binstock of Baltimore, MD. Adoring grandmother of ten grandchildren and ten great-grandchildren. 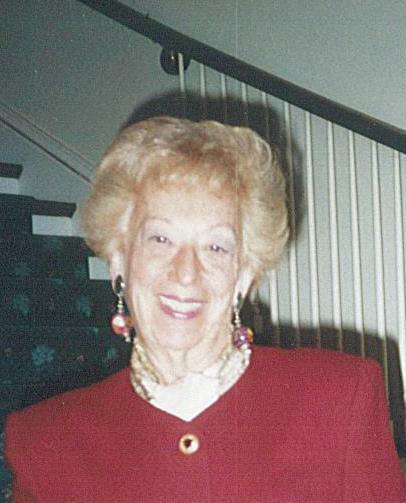 A graduate of the University of Pittsburgh, Tessie served as President of B'nai Brith Womens Council and the Conference of Jewish Women. She served on the Board of the Hillel Foundation for Jewish Campus Life, as well as devoting her time and talents to many other organizations. She was a docent for over 20 years at the Carnegie Museum of Art. Services at Ralph Schugar Chapel, Inc., 5509 Centre Avenue, Shadyside on Wednesday at 2 PM. Visitation one hour prior to services (1 - 2 PM). Interment B'nai Israel Cemetery. Contributions may be made to Sivitz Jewish Hospice, 200 JHF Drive, Pittsburgh, PA 15217. Dear Martin and family. I am so sorry about the loss of your mother and will be keeping you in my prayers. Bernie and Maureen. Dear Linda, I was so sad to see this notice of your mother\'s passing. Please accept our very sincere sympathy at your loss.